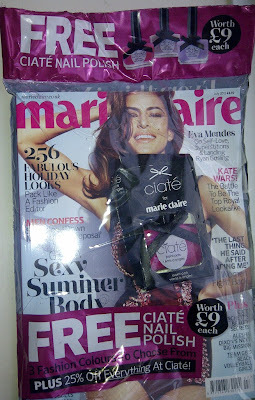 Purchase a copy of July's Glamour Magazine (UK) and get a free mini size Benefit product. Choose from Bad Lash Mascara, That Gal Brightening Face Primer or The Porefessional Primer. 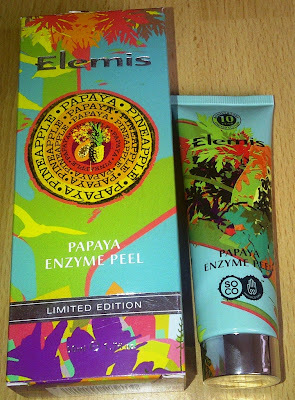 It is the 10th Anniversary of one of my favourite products - the rather fabulous, award winning Papaya Ezyme Peel from Elemis. To celebrate Elemis have teamed up with British designer Laura Oakes to create this gorgeous limited edition packaging for the Peel in aid of the SOCO charity. For every product sold Elemis will provide a 5-in-1 Pentavalent vaccine to immunise a child in Africa against 5 leading diseases and they hope with your help to donate 50,000 vaccines. Red Magazine are giving away a free Jemma Kidd i Glamour Volume Mascara (worth £15) or i Glamour Define Eyeliner (worth £14) with the July Issue - Out now! 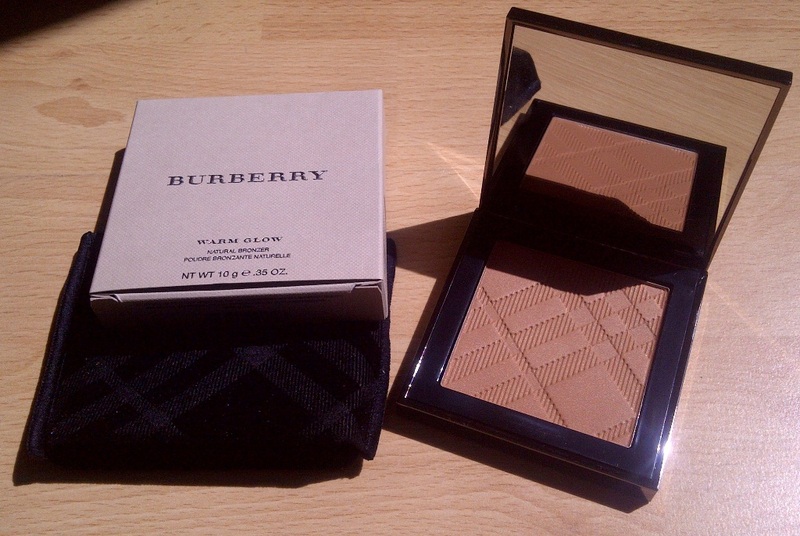 BURBERRY Warm Glow Natural Bronzer in Summer Glow 04. 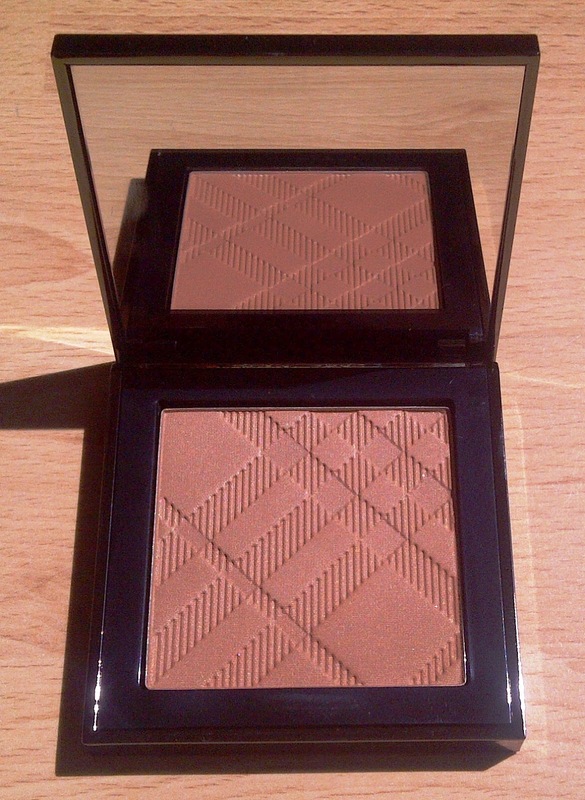 From the packaging to the product this bronzer just oozes quality and luxury. 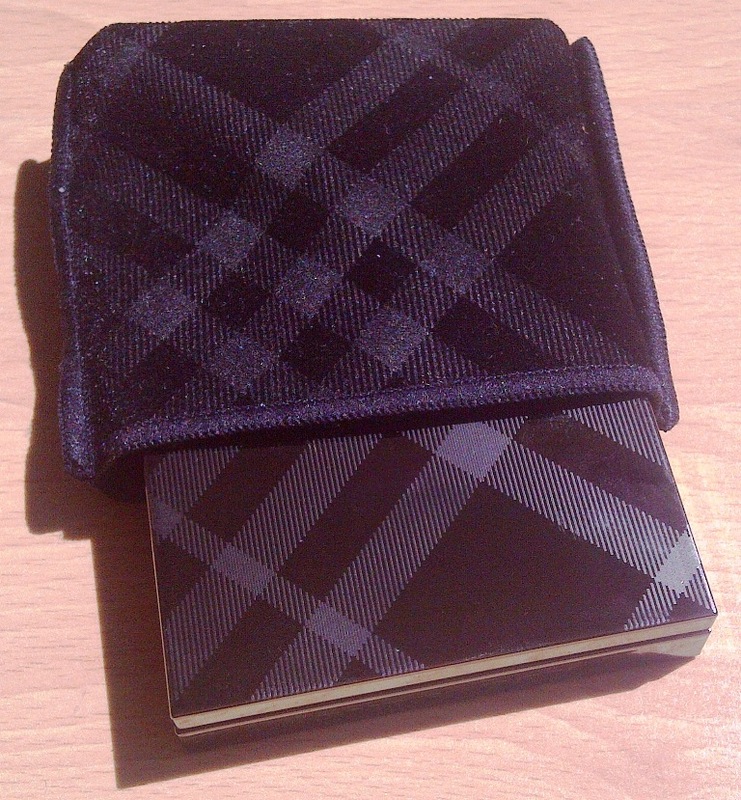 The bronzer comes in a BURBERRY print black wallet, the actual product is contained in a BURBERRY print mirrored case that feels nice and solid. With magnetic closure it stays firmly shut. 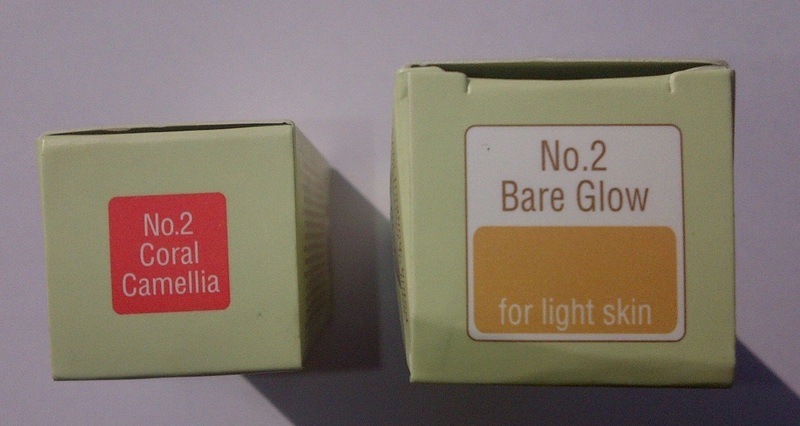 Applying warm glow is like a dream. Using a bronzer brush, the finely milled powder blends into the skin beautifully to give a gorgeous and incredibly natural looking glow that makes the skin look flawless and radiant. The shade is ideal for a sun-kissed appearance. I honestly cannot rave about it enough. The colour is perfect for me but it is easily buildable to be layered to look darker. If you look closely you can see the tiniest of shimmer particles that are in the product. 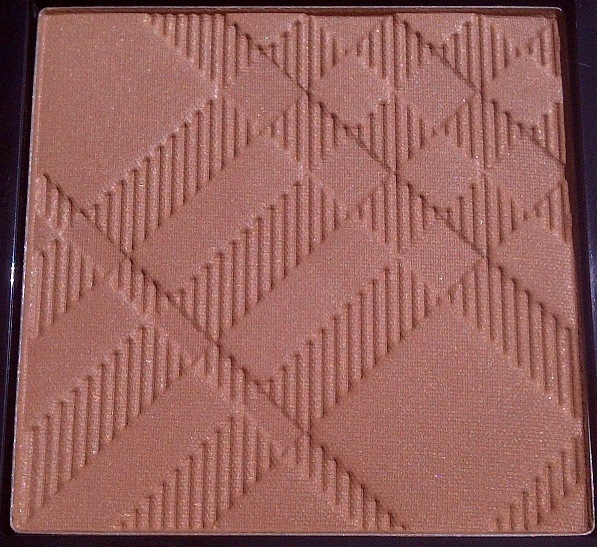 The shimmer is so fine, it is just an incredibly natural addition to the bronzer which adds to the overall 'glow' and gives a healthy sheen to the skin, avoiding that flat matte look. 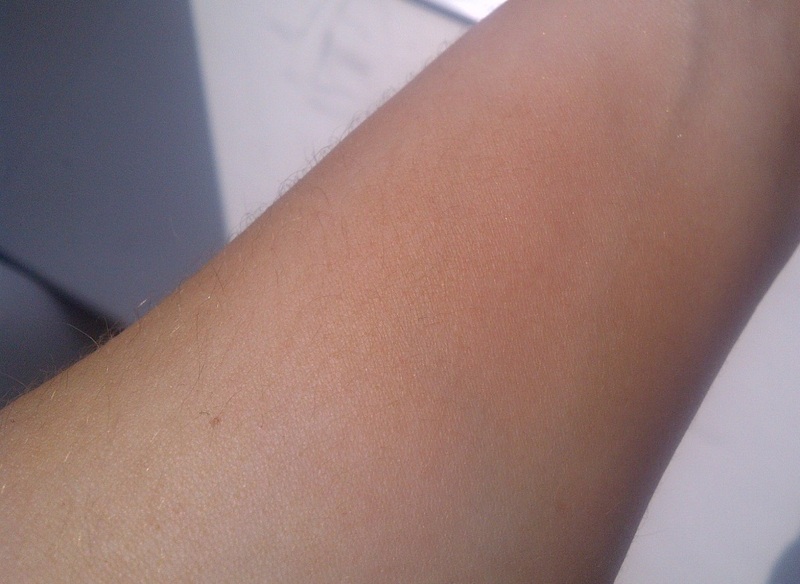 Summer Glow really does provide me with the most beautiful warmth to my skin, a wonderful yellow based glow as opposed to an orange or dirty brown darkness that some bronzers leave you with. I have to say I am in the process of giving away all my other bronzers as this is by far my favourite. It is pricey but in my opinion worth it. I love a bit of Batiste Dry Shampoo every so often when I just do not have time to do the whole wash and style routine (my hair takes absolutely ages to dry). 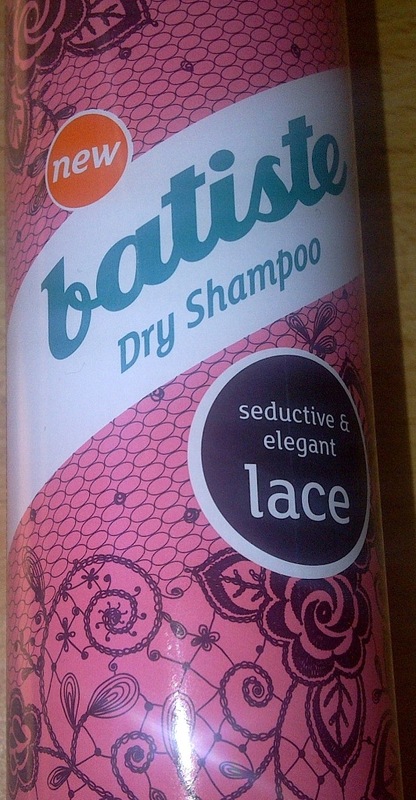 I own a few Batiste variants, my favourite ones being Blush and the XXL Volume. I read recently that sales of dry shampoo have rocketed and apparently it is estimated that 1 in 4 women has a can on the shelf! One of the reasons of its popularity is that it gives hair body and strength, helping to create the big hair look that has become so popular with celebs. It is no wonder that Batiste are regularly launching new variants in their popular dry shampoo range. Lace is the latest variant which is described as seductive and elegant. The new scent offers base notes of white musk, cedarwood and sandalwood which are complimented by top notes of citrus fruits, nutmeg and pink pepper. The heart of the fragrance contains stylish floral tones of rose, orchid and iris with jasmine and ylang-ylang. Lace comes in a cute lace design bottle. I really like the scent, which to me is beautiful and sophisticated, just like an expensive perfume. I find that it fades to a delightful and subtle rose scent. As I am huge fan of rose scents this is just up my street. It works perfectly by boosting volume and banishing oil exactly like it says it will do. Spraying from 30cm away like it advises it barely leaves any trace of powder, but if you do get any powder residue it disappears by working your fingers through your hair followed by brushing. Another winner from the Batiste brand. Which Batiste is your favourite? 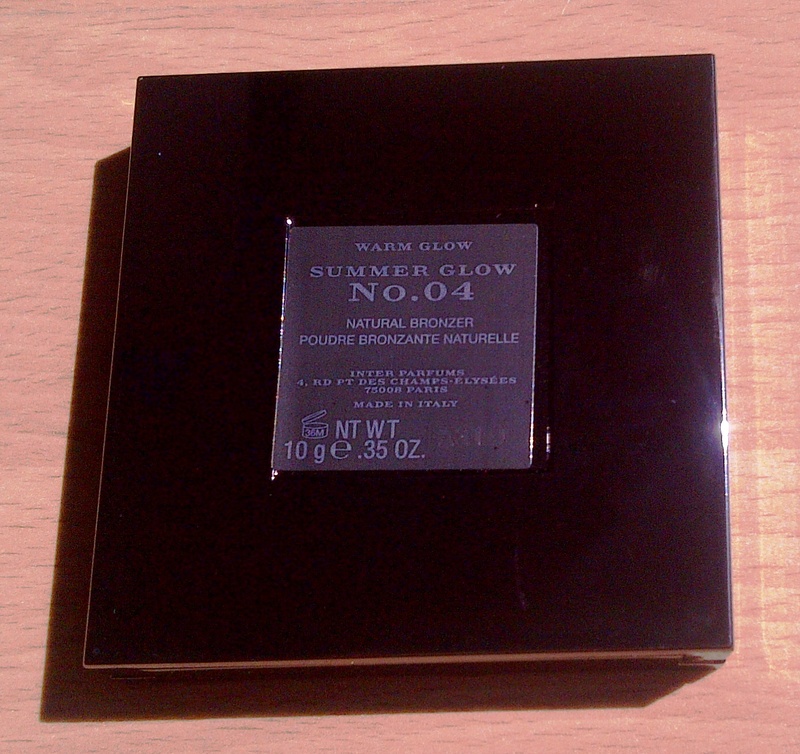 I received this 5ml sample of Yves Saint Laurent Forever Youth Liberator Serum in the Harrods Edition GlossyBox. Containing the Glycanactif™ complex, a combination of 3 glycans, to help stimulate skin’s youthful capacities at the 3 levels of the skin. Immediately, the complexion looks more transparent. Signs of fatigue seem less visible. In just 7 days, the skin feels transformed: smoother, firmer and more toned. After 1 month, the skin appears revitalized. For all skin types. Suitable for sensitive skins. I have been using Forever Youth Liberator Serum twice a day for 3 weeks now and am really enjoying the ritual of applying it. It has a light, non sticky consistency that glides beautifully across the skin and then absorbs instantly leaving the skin feeling satin smooth. It smells very pleasant. I can react to products that are just too rich for my skin but I haven't had any reaction to this at all. My skin is improving as the days go by. I have a couple of fine lines on my forehead and these are barely visible now, this may be due to the fact the skin is more hydrated. My skin is feeling softer since I started using the serum and looking at my skin it just generally looks better and less tired looking, considering the lack of sleep I have had this past month this is good! As you only need to use a tiny amount, the 5ml sample I have is still going strong. I have always been disappointed with Marks and Spencer's beauty offerings. Not that there is anything wrong with the products, but as a company they have always struck me as not really taking it that seriously. The area size has always been small and the layout for beauty has always been hidden away, messy and confusing. 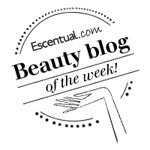 My interest though has been seriously piqued by the latest beauty news that they have reviewed their entire beauty offerings, repackaging and improving all of their existing own brand ranges. 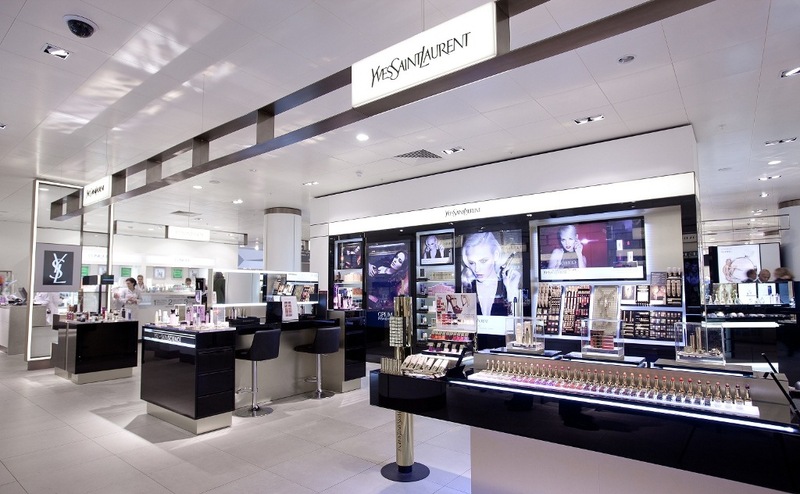 Even more exciting, just as they now sell non M&S food brands, they will also be selling other niche beauty brands! 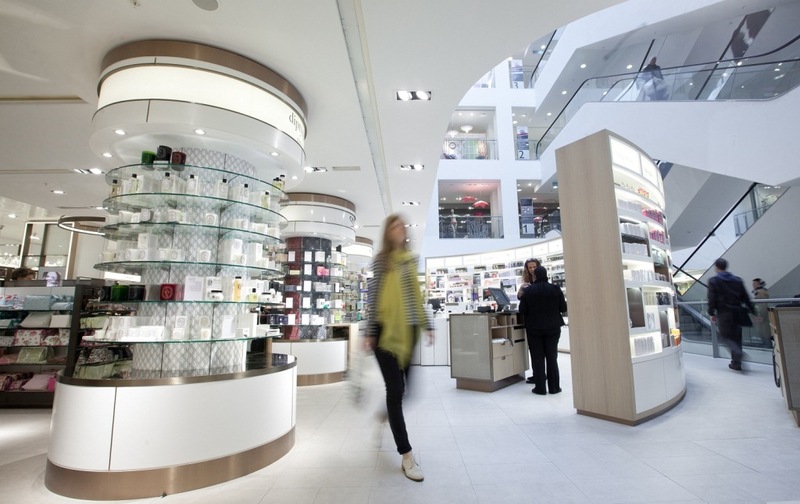 New launches exclusively for M&S include fragrance ranges for men and women from renowned perfumer Lyn Harris and a spa range from Cowley Manor. For the first time you will be able to purchase the following brands and more - Apivita, Dr Murad, Roger and Gallet, Philip Kingsley and Leighton Denny. 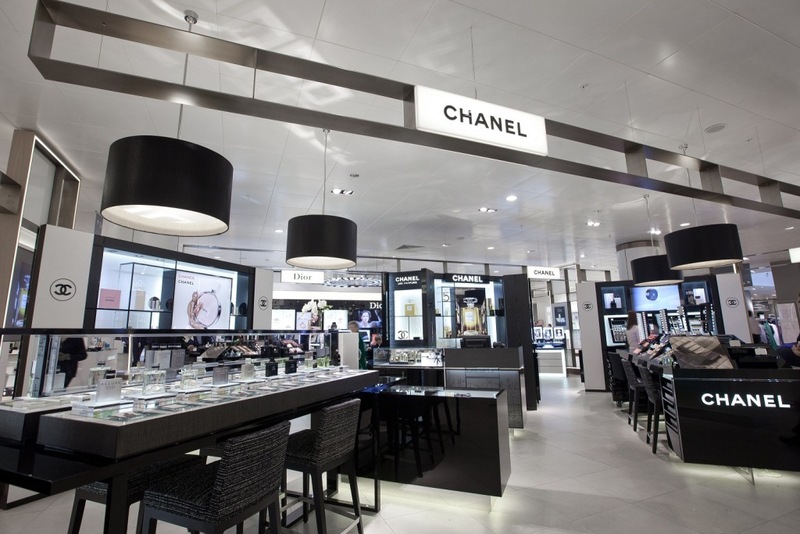 The first of the new beauty department's opened this week at the Kensington High St branch but keep your eyes peeled as the concept will be rolled out across other stores over the next 12 months. 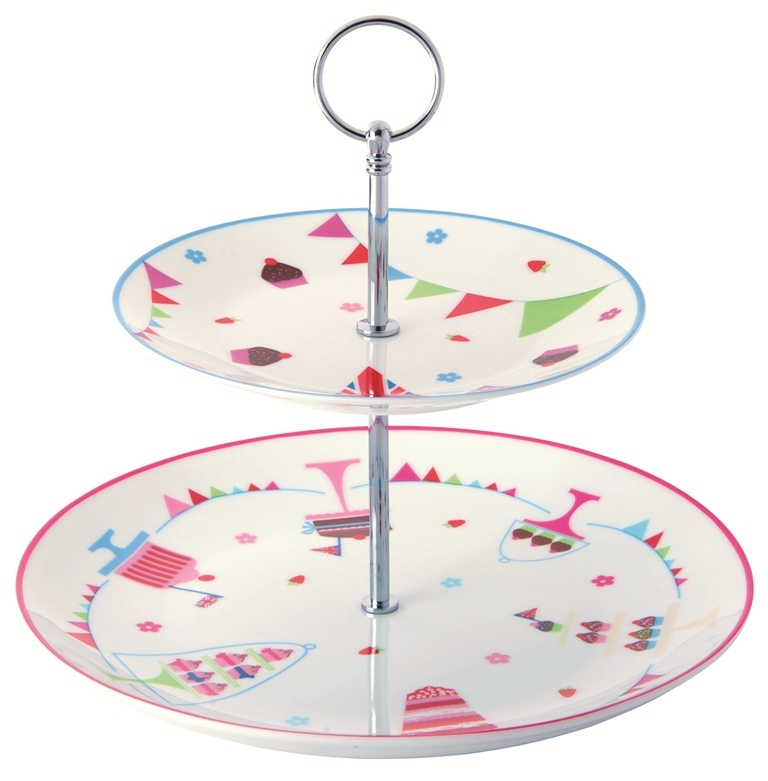 Products are also available to purchase online. Flawless You Forever Mascara in Black claims to be an everyday formula that lengthens, separates and thickens lashes and is buildable for more dramatic lashes. Containing panthenol and keratin it strengthens and nourishes lashes. 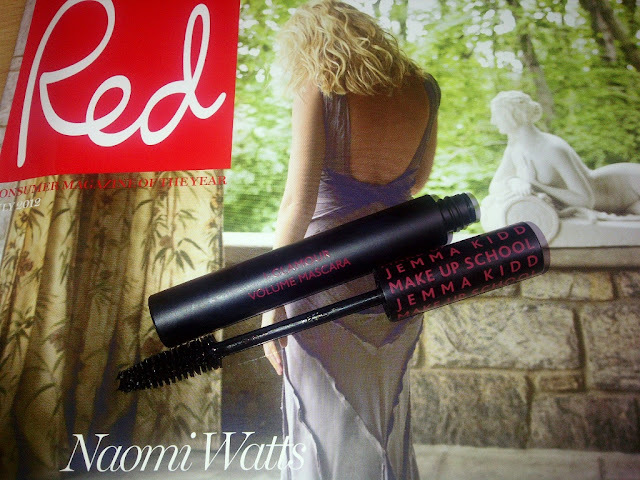 I have been reaching for this mascara a lot as I do find it to be an excellent everyday mascara. I like the brush size and design which makes it easy to coat the lashes and reach the smaller ones without poking yourself in the eye. It separates them beautifully for soft, natural looking lashes. 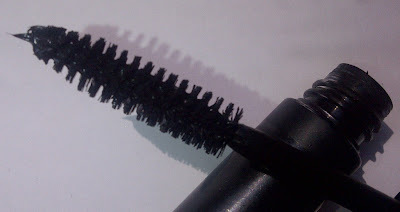 It is a nice, decent black and is buildable but does begin to clump after a few strokes, which I find with a lot of mascaras. I don't find it to thicken lashes that much though so prefer to use a different mascara to provide drama and impact. 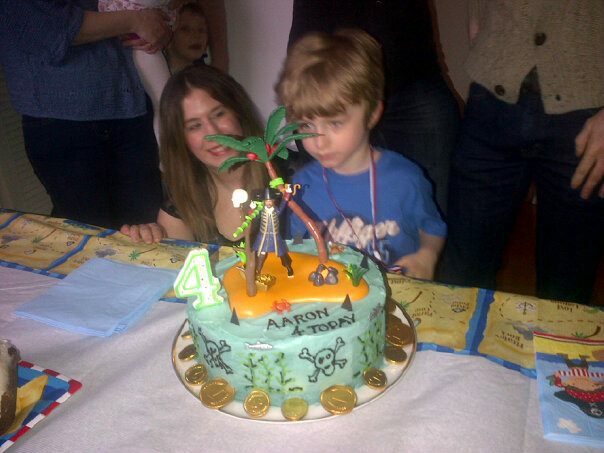 And finally, the before and after shots. 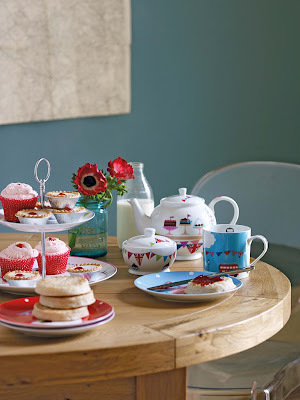 Spotted this cute, everything you need, afternoon tea collection from London based illustrator and product designer Michelle Mason exclusively for Linea at House Of Fraser. 'Street Party' is a porcelain dinnerwear range which features colourful tea time treats; cupcakes, jellies, pots of tea, fancy cakes and swags of bunting across teapots, cake stands, sugar bowls, creamers and teacups and saucers. My must haves from the collection are the cake stand and tea pot £20 each. Don't you think these are just perfect for the Diamond Jubilee and Olympic Celebrations this Summer? 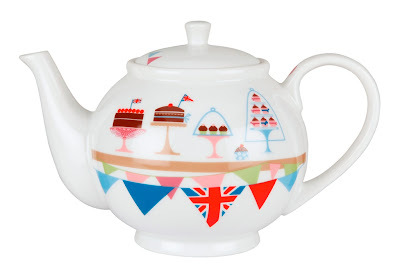 To celebrate the Queen’s Jubilee, shu uemura will be participating in the Big British Bang event at Selfridges. 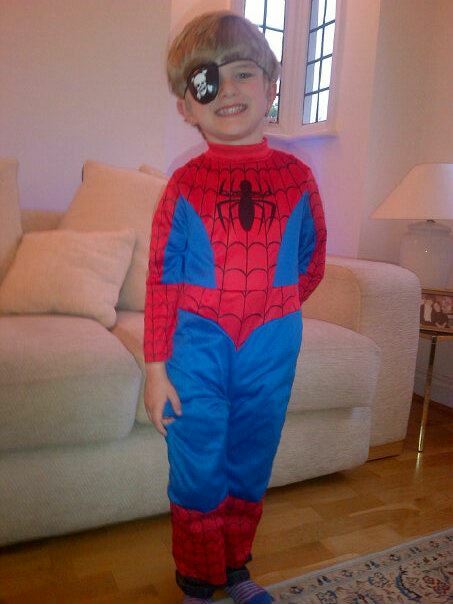 On sale will be the Union Jack Swarovski crystal eyelashes which are available exclusively at Selfridges. If you have been into the Oxford Street branch of John Lewis over the last few months you may have noticed different sections being boarded up and then opened up as others have disappeared, well all has been revealed - A multi-million pound makeover of its Beauty Hall. 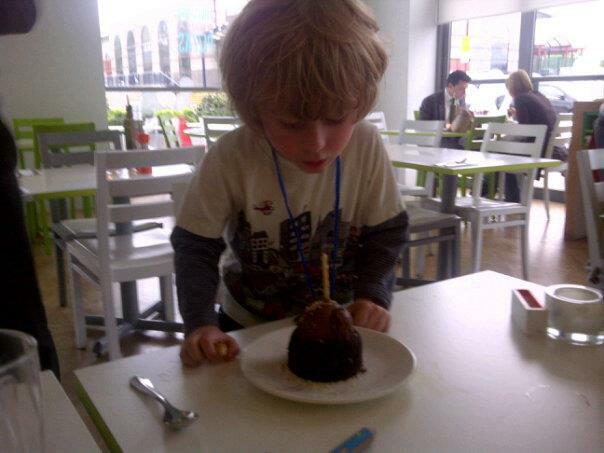 Completed in seven phases, it was fully opened on 8th May. 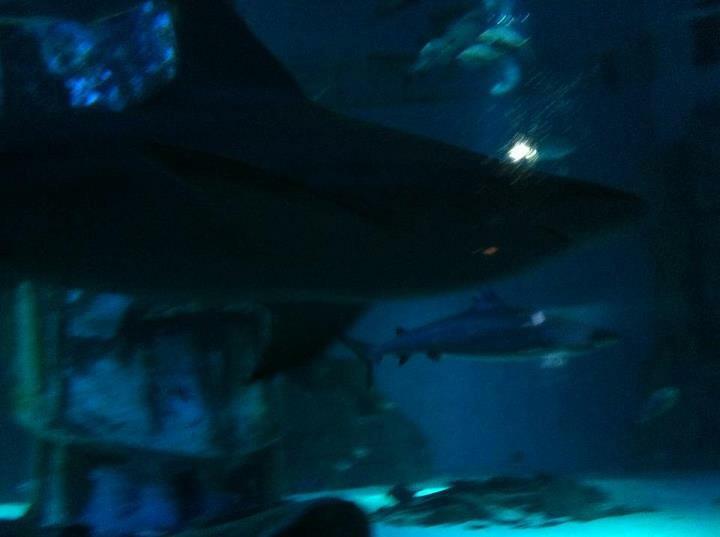 I was there on the first day, invited to take a tour. Inside it is a beautyholic's dream. Incredibly stylish, bright and airy, you will find yourself being tempted and drawn in every direction. 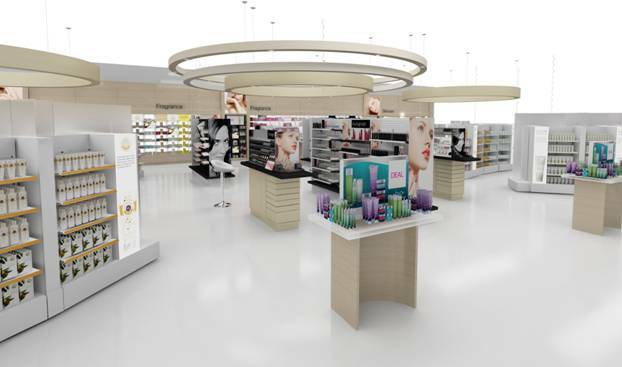 Expanded, the new Beauty Hall now covers 18,000 square feet and boasts a Town Square formation. 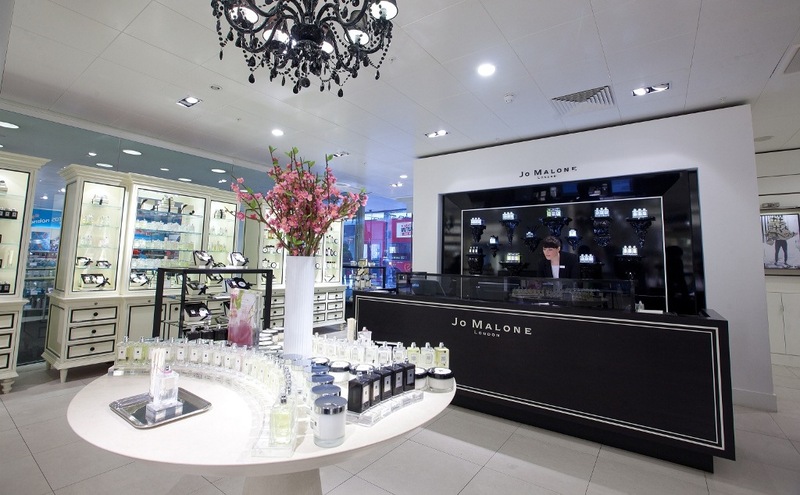 Premium brands are positioned like 'houses' around a central area of fragrances and haircare, skincare and nails. I have to say I absolutely loved spending the afternoon at the new Beauty Hall. It is wonderfully spacious, with wide aisles, so you are not on top of or knocking into other shoppers whilst you are choosing your latest beauty product. Many of the brands have done away with the traditional beauty counter which means you are now amongst the products and the staff, not one side of the counter as they are on the other, making it far easier and more interactive when trying out products. 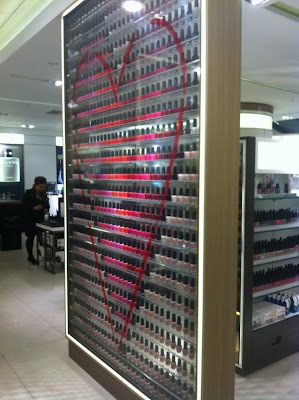 The John Lewis Beauty Hall will be stocking 100 shades from OPI , however, in total, the assortment in the nail zone extends to a staggering 400 shades of colour across all the brands! Before I arrived, I popped into Topshop to take a look at their makeup collection, well I needn't have bothered as it is here! Laid out exactly how it is in Topshop. You will also find the niche brands here including Melvita, Dr.Hauschka, REN, Caudalie and many, many more. A great place to discover brands that you have may not have seen or considered before, and the staff are trained to give advice across those brands to recommend the best for your needs and requirements. Love being pampered? As part of the face-lift come new treatment rooms from Lancome and Guerlain. Incredibly, Guerlain's treatment room is the first one outside of Paris! A must stop destination. The addition of the new Jo Malone Shop, where I was given excellent service and came away with a teeny sample of the Orange Blossom fragrance in the cutest little bag. Liz Earle - The friendly team were on hand to show me the new make up range and I took the opportunity to purchase my favourite cleanser, Cleanse and Polish. John Lewis also welcomes Burberry to the store, I have to admit to spending quite a while here, playing with the make up and making a list of future purchases. I spent a most pleasurable and relaxing afternoon getting lost in a world of beauty that I am already looking forward to returning very soon, especially to take a closer look and spend more time at the perfume section.When I get out at Oxford Circus Station I am not entirely sure I will need to walk any further than John Lewis for all my beauty needs. My lovely sister is really enjoying trying out different red lipsticks after avoiding lipsticks for many years. 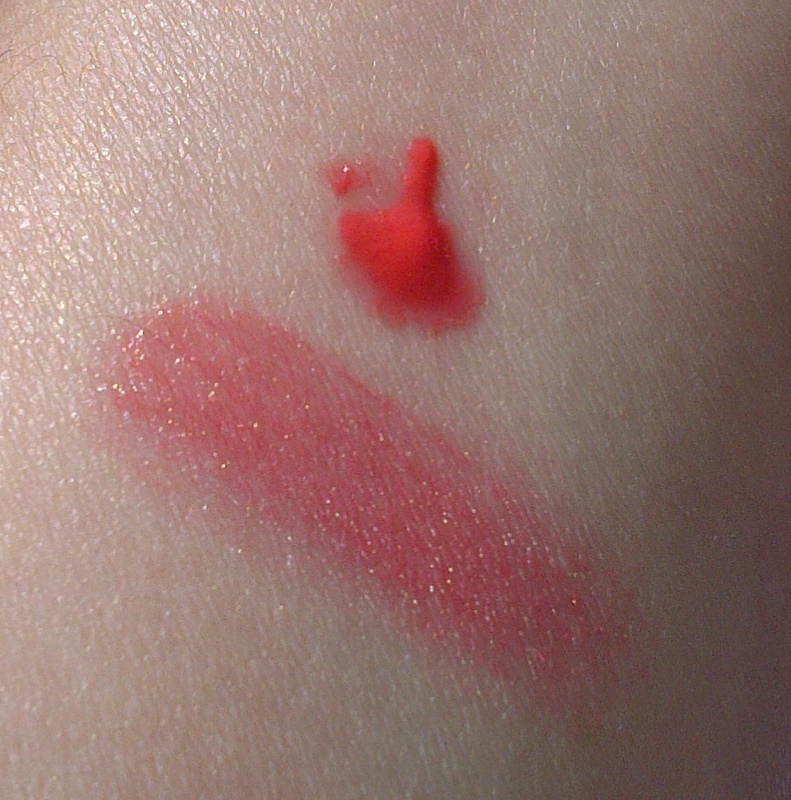 YSL Rouge Volupte is one of her favourites and a current go to. This extremely flattering red shade of lipstick adorned her lips on Saturday night.. Doesn't it make the whites of her eyes look whiter? 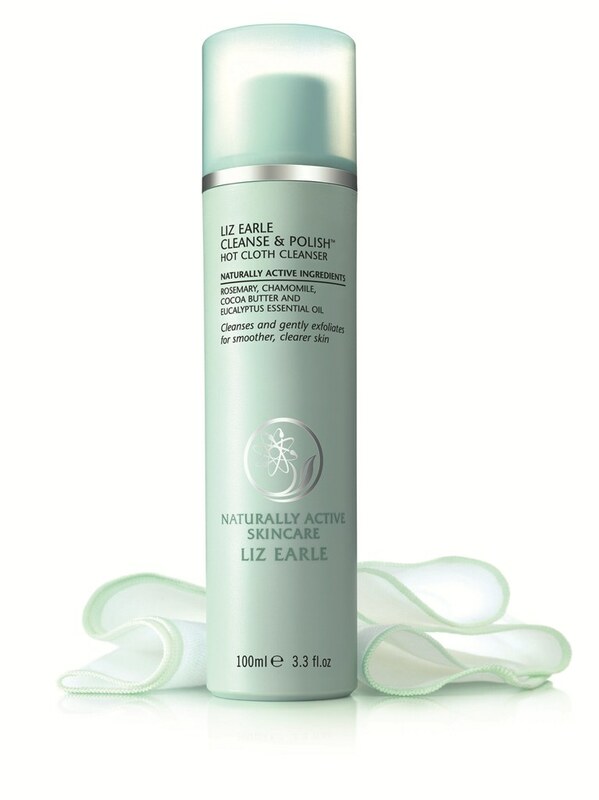 Readers of Beauty Swot will know that my all time favourite cleanser is Liz Earle Cleanse and Polish, so as soon as I saw this offer arrive in my inbox I had to share. Cleanse & Polish is a true beauty phenomenon and has won over 80 awards and accolades. At the recent CEW (UK) Awards 2012, considered the “Oscars” of the beauty industry, it was announced that Cleanse & Polish Hot Cloth Cleanser was voted Most Revolutionary Beauty Product of the Last 20 Years by 600 independent beauty industry 'insiders'. Cleanse & Polish has also just scooped the Best Cleanser accolade at the prestigious Sunday Times Style Beauty Awards 2012. 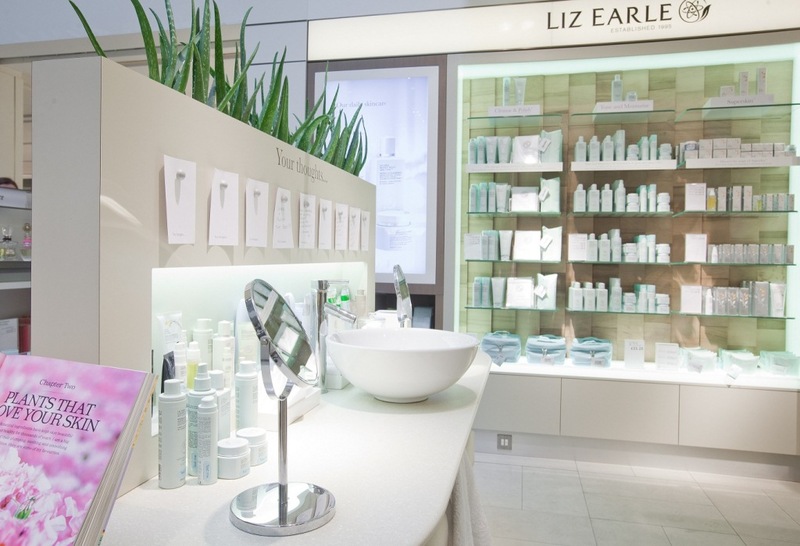 To celebrate these achievements Liz Earle will be selling Cleanse and Polish at its original launch price of £9.50 (Cleanse & Polish 100ml plus two pure muslin cloths) instead of the current price of £14.25! This offer launches on Wednesday 23rd May and is available online at lizearle.com and via their Customer Centre (01983 813 913) and is available until Friday 25th May, or while stocks last. So if like me you love Cleanse and Polish or you have yet to try Cleanse and Polish, there has never been a better time to buy it. Elemis Tranquil Touch Body Polish is from the sp@home body exotics collection and is quite simply the nicest body polish/scrub I have ever used. This is an ultra gentle smoothing body scrub containing a natural rice exfoliator to sweep away impurities and soften the skin. Without a doubt this is a luxurious scrub and it comes with the sublimest of scents, using this I feel transported to an exotic and faraway spa. The scent is heavenly, sensuous and lingering. Utterly delectable, I love sniffing my body long after my bath ritual has ended. It is not often I get THAT excited about a scrub but this isn't just a scrub, it is a scrub that ensures bath time is the most enjoyable and relaxing of past times. Elemis is one of my favourite skincare brands, for me scents are one of the most important things in liking a product and yet again they have managed in my eyes to combine performance with a glorious scent and fabulous ingredients. It is pricey but in my eyes it is worth every penny. The Elemis Promise - This product is free from parabens, SLS, SLES, DEA, mineral oils, artificial colours and silicones. Still on my quest to find a moisturiser with a high SPF that would suit my skin and leave it nicely moisturised I purchased - Avene Hydrance Optimale UV Light SPF 20 Protective Hydrating Cream. Last year I filled in a form on the Avene website where they would suggest products to suit your requirements and send out tiny samples to try. 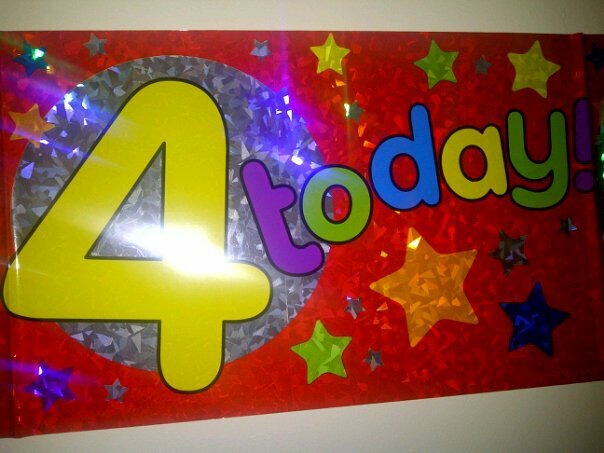 This was one of the products sent. This moisturiser is listed as being suitable for normal to combination sensitive dehydrated skin. A hydrating moisturiser to protect the skin from daily aggressions and help prevent skin ageing caused by the sun. 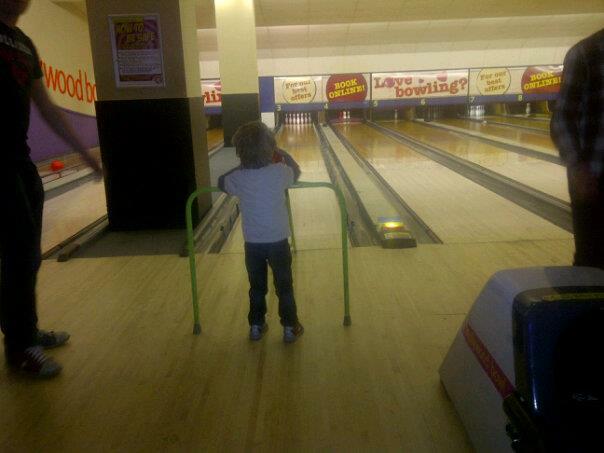 It also has a light mattifying effect. As with all Avene products, the ingredients include Avene Thermal Spring Water. Paraben free. This is a bit of a product rave.. In short this is perfect for my skin type, It doesn't irritate or make it react at all. The product comes in a squeezy tube container. The scent is so gentle, it is barely detectable but is similar to the soapy smell of the Gel Cleanser I recently reviewed. Texture wise it is a light fluid that absorbs into the skin immediately leaving my skin feeling hydrated and soft all day. As it has a mattifying effect, the skin doesn't glow (though it is bright) but on the upside I don't get an oily t zone as the day goes on. For an SPF product I am so pleased it moisturises whilst protecting. I would definitely repurchase. I bought the Avene Hydrance Optimale UV Light SPF 20 Protective Hydrating Cream 40ml at Boots, I cannot find my receipt but I am sure I paid around £14 for it. I have seen the Pixi brand stand whilst out shopping for makeup, curious but not quite enough to actually pick anything up, I revisited the brand recently when I was looking at high street products for paraben free makeup for my mum who is allergic to parabens. Not all products from Pixi are paraben free but the Lip Twin is. 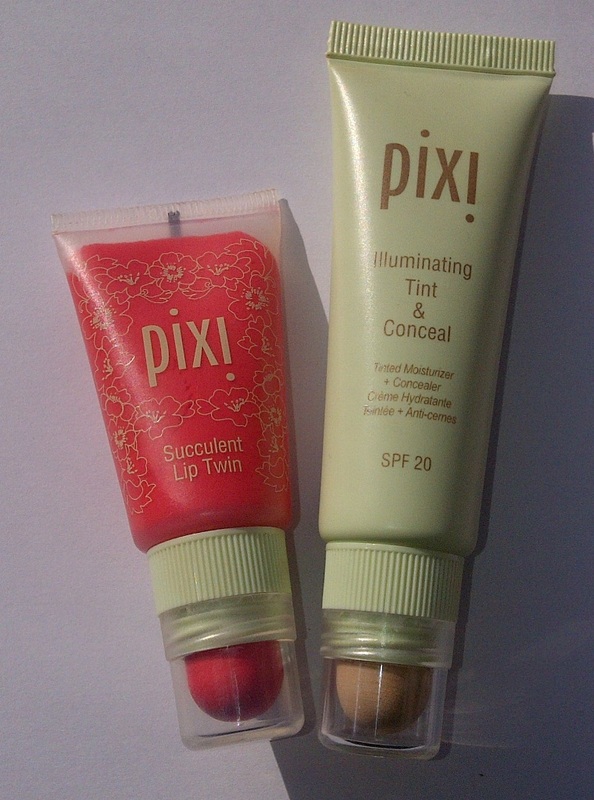 When the weather is warm and sunny I do prefer to use a lighter foundation or tint during the day, it is hard to remember the last time we had a truly hot and sunny day but I was using this then and as shades go this was pretty much spot on for my skin if giving a very subtle warmth (it is the second from lightest). 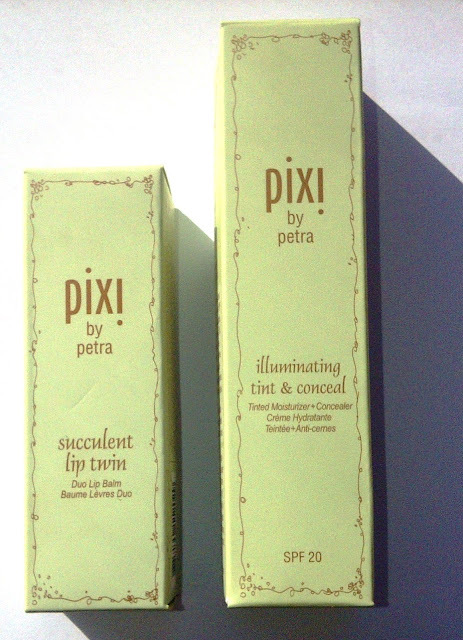 It felt moisturising and had the high SPF of 20 for protection.The product is sheer so this is probably one of the lightest tints I have used on my skin, if you prefer more coverage this will not be for you. It made my skin ooze radiance and glow ( it has very slight shimmer particles) and evened out skin tone. 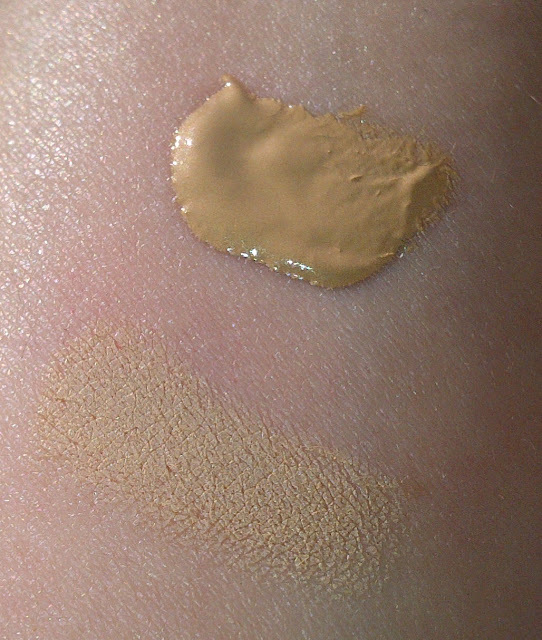 I did have to use the concealer for my redness, the concealer is a good coverage concealer that blended nicely into my skin. A good multi-tasking product. Coral sums up Summer for me and is really flattering on pretty much all skin tones. 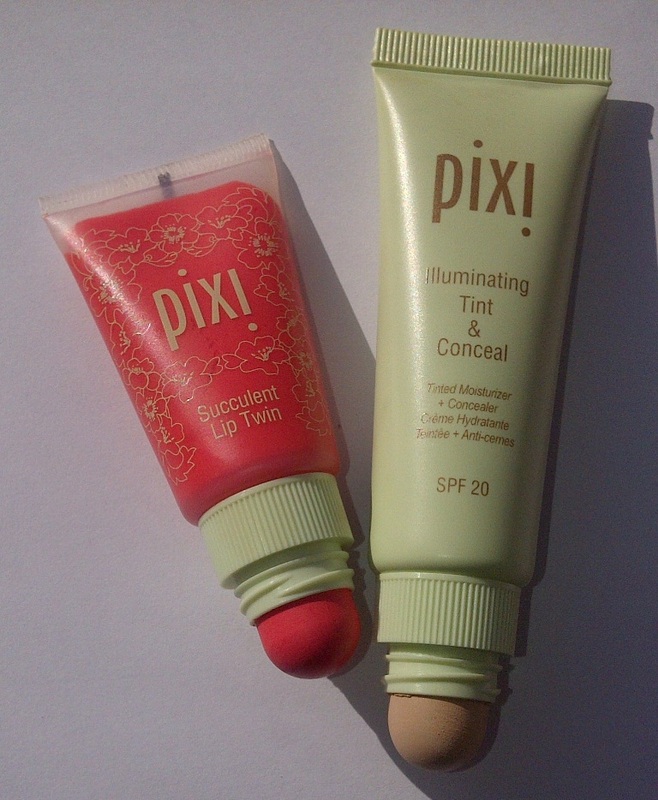 The Lip Twin is a duo of liquid lip balm (in the tube) and in the cap a solid lip and cheek crème. The lip and cheek crème gives a pretty flush of colour but it is quite sheer so needs to be layered, on the lips I like to pop the balm on top to give a stronger and glossier colour. This has a pleasant sweet smell. My only disappointment is that I can see that I will be finishing the crème before the balm. Pixi Illuminating Tint and Conceal is available in 4 shades and costs £21.50. 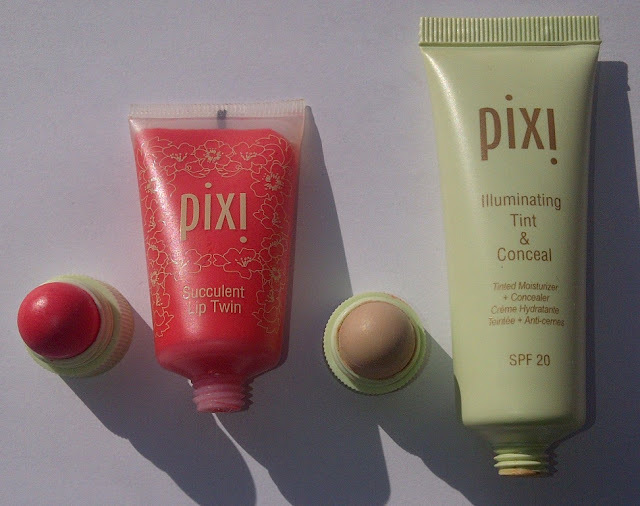 Pixi Succulent Lip Twin is available in 5 shades and costs £12.